Durex Play Massage Gel is a unique 2 in 1 sensual massage gel and lubricant perfect for foreplay and use in intimate areas. Smooth, silky and sensual, Durex Play Massage also contains Vitamin E for optimal skin health and nourishment. It is formulated for use all over the body. It glides easily over the skin which helps enhance intimacy. It does not irritate the skin – quite the opposite. It now contains Aloe Vera which is known the world over for its healing and healthy skin properties. 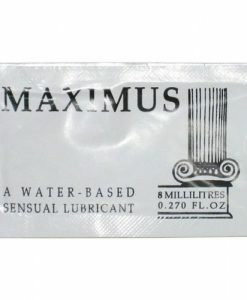 This lube is non greasy and it waster based so it can be used with latex condoms as well as personal toys. It is also non sticky because it is absorbed into the skin. The only fragrance is from the Aloe Vera plant. Happy customers have praised this 2 in 1 formula because prior to discovering it couples would argue about which lube to use. This is one that has pleased both parties.